Exomotive - US Manufacturer of Exocars & Kit Cars | Exomotive needs your vote! 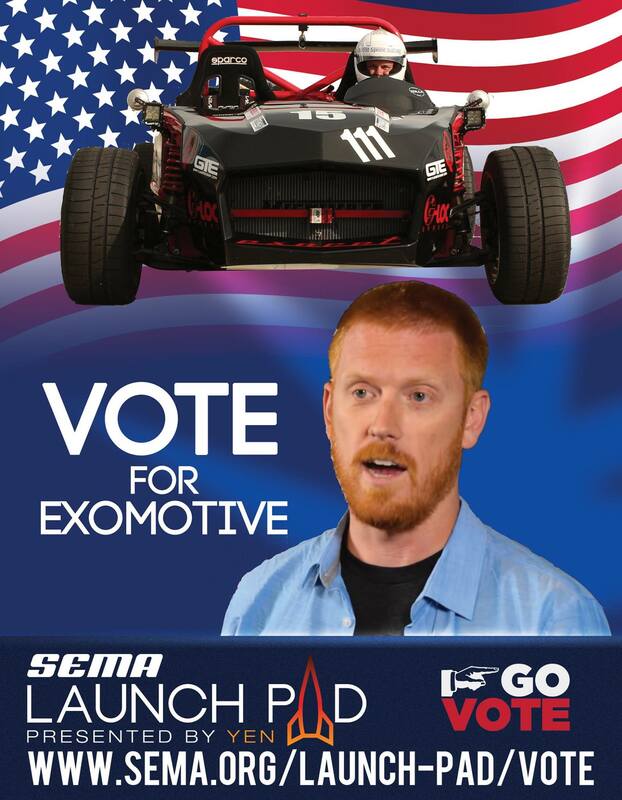 Exomotive needs your help to win the SEMA Launch Pad Competition! The top ten chosen will head out to Vegas to represent their company for the top prize! Please visit http://woobox.com/7kkvcd/gallery/W9_Gxz-7v4M and cast your vote for Exomotive!